1. 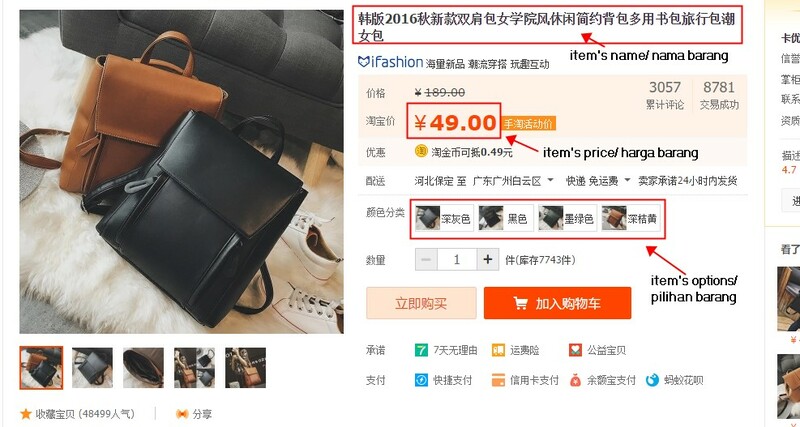 After pick goods from Taobao.com/Tmall.com/1688.com & copy the link to Eazyla Home page. 2. Paste the link on Eazyla Home page & click "Go". 3. 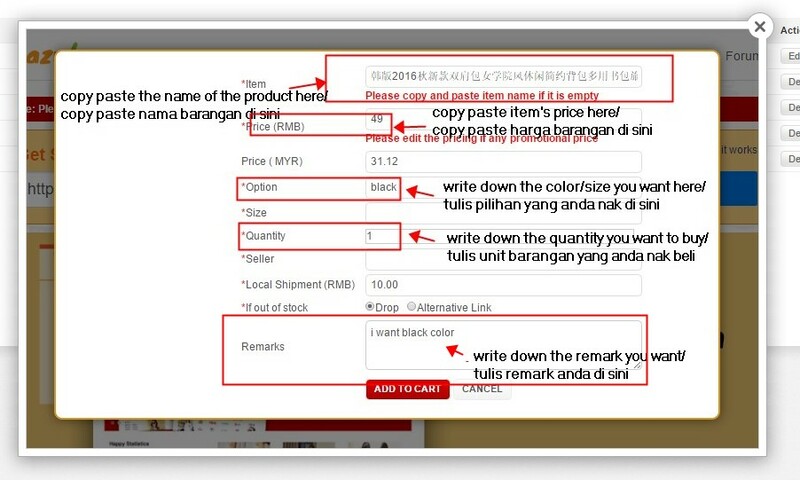 Then fill in the option/color, size and quantity you want from the link and then copy paste to our website as per the photo below. 4. After you have fill up all the space required, then you can continue to add to the cart by clicking the "cart" and can go to your cart (on the right). 5. 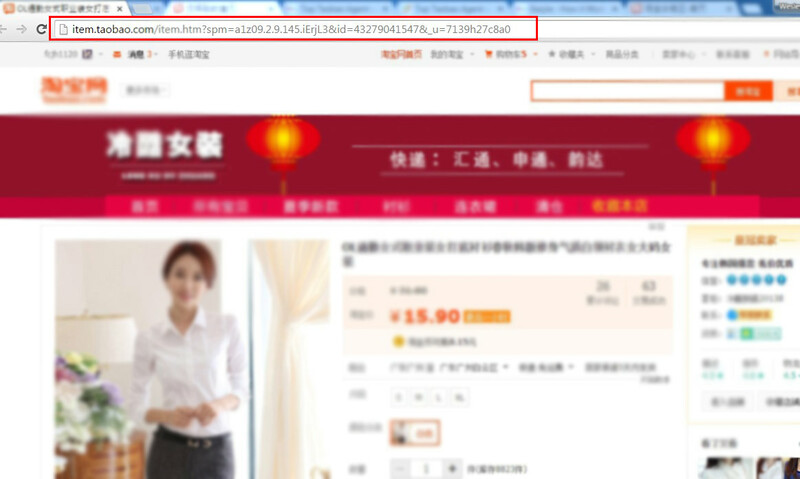 You can fill in the details of the delivery address that you want to send to. 6. The bottom of the cart, you can write a remarks to us about anything you need. 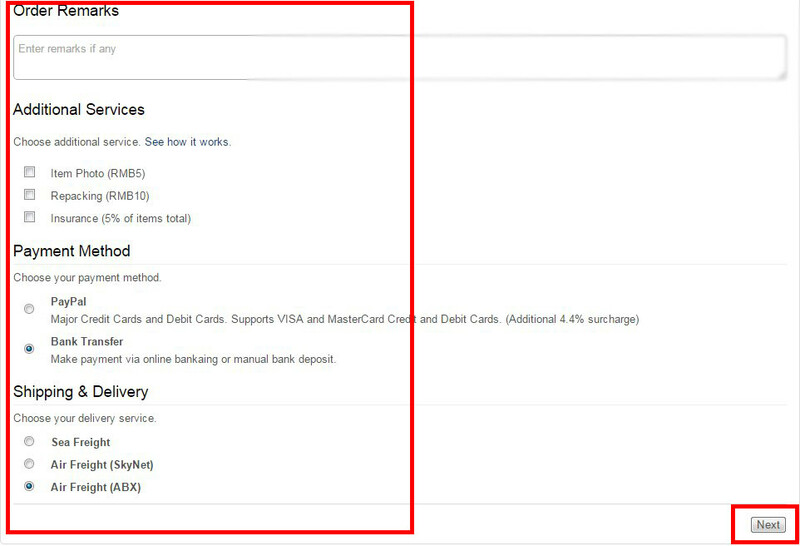 Here are some additional services (you can check out here), select a payment method and the shipping method that you want. 7. 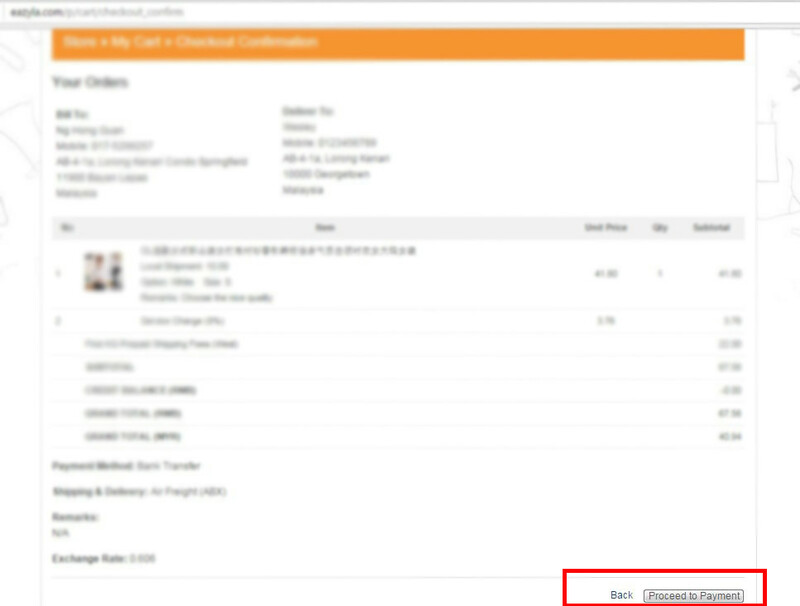 After everything has confirm, then you can click "Proceed to payment" to confirm the order. 8. 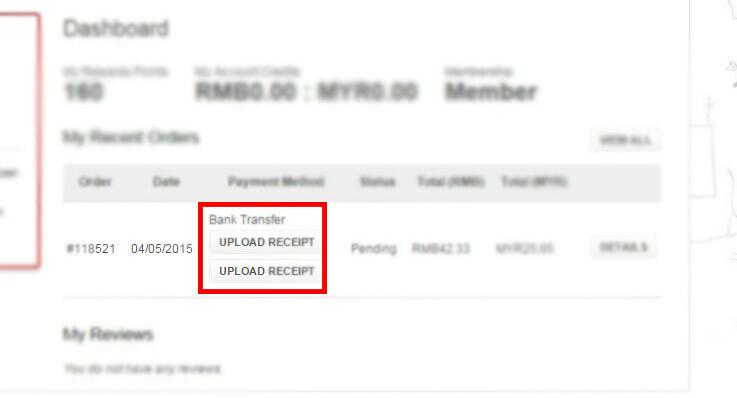 After you have make the payment, please update your payment here. 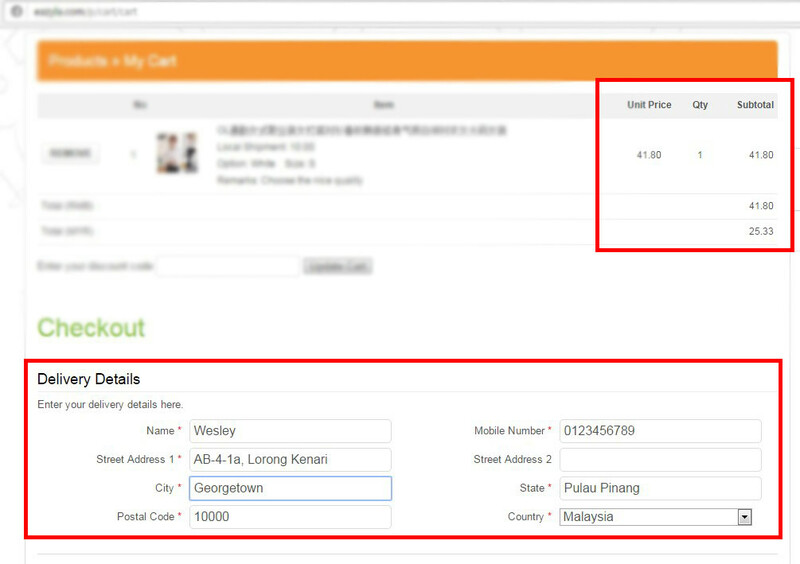 The first "UPLOAD RECEIPT" is for the order's payment and the "UPLOAD RECEIPT" is for international shipping fees.